Wearing an Asava suit, Esha attended a recent press meet. A cocktail ring and pair of black sandals are all that the actor needed to finished out the look. She sure suits up well; Esha looked good! At the big Mumbai premiere, Kriti was photographed in a Lola by Suman B jumpsuit. Jewelry aside, the actor finished out the look with metallic sandals from Dune. While the look may not be much to write home about, Ms. Sanon did look nice; love the jewel-tone on her. For her appearance at a recent event in Hyderabad, Raashi kept things simple in a Banana Republic wrap dress. Wearing her hair down, the actor paired the partly pleated dress with gold-tone accessories that included Suhani Pittie jewelry and pair of Dune sandals. Like the look on Ms. Khanna? For her appearance at the India Today Conclave being held in Chennai, Tamannaah picked a Hemant & Nandita dress to wear. Sleek centre-parted do, matte brown lip color, H&M earrings and pumps from Dune finished out the look perfectly. Am not a big fan of the dress… On anyone else, am certain I’d be crying foul at the ruffle detail. 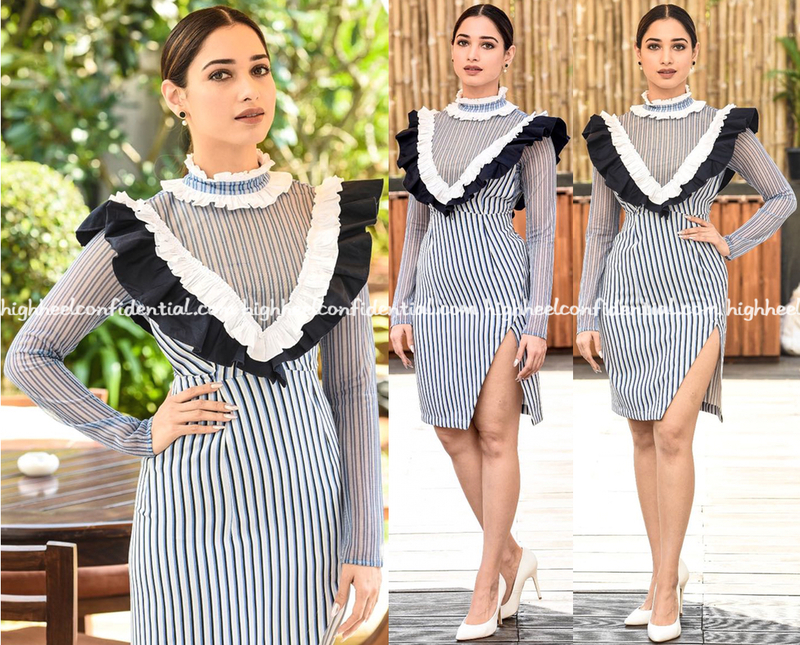 Tamannaah however had no trouble making it (the dress) work for her. Do you think otherwise? Alia made an appearance at a charity fashion show on Saturday sporting a colorblocked look in Paule Ka separates. An assortment of rings from Angana Nanavaty and Dune sandals finished out her look. The outfit was youthful and given the event, she didn’t feel overdressed.